another top-tip from Philip Waldman D.O. 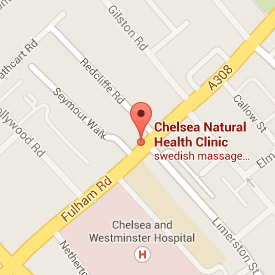 FSCCO, Registered Osteopath at Chelsea Natural Health Clinic, SW10. It is the sudden spike in blood pressure that is, I think, the most significant. If you have any weakness in your blood vessels, then you can further traumatise them. I have seen people that have detached their retinas holding in sneezes, and you have to be mindful of the blood vessels in the brain. I am having to be careful in my use of words here, because I don’t want to suggest that holding in sneezes can directly cause things like strokes, but it stand to reason that if you stress the vessels in the brain, and you have any pre-existing weakness then if you repeatedly hold in your sneezes, then maybe over time you may well aggravate it. It is a reality that as we get older, arterio-sclerosis can take hold and this stiffens the blood vessels, rendering them less able to stretch and absorb and damped out the pulsing pressures of the heart. The most obvious sign of this is increases in blood pressure. Sudden spikes in pressure from a held in sneeze are going to be even less well absorbed, leading to potential damage of the blood vessels.